Shree Ramana Maharishi Academy for the Blind (SRMAB) is the humble creation of a group of visionaries. SRMAB was founded in 1969 with the motto “Service to Humanity is service to God" by Sri. T V Srinivasan, Late Sri. Thirumurthy and friends. 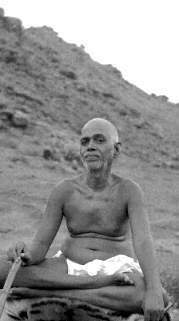 While seeking spiritual enlightenment, they were inspired by the simplicity and thoughtfulness of the great guru Sri Ramana Maharishi and motivated to take social action. The Academy strives to breakdown the social barriers and provides opportunities for differently abled people to integrate into societal mainstream as self-reliant members. Hard work, commitment and single-minded devotion to the cause have contributed to the growth of SRMAB. Its multifaceted activities provide services in the field of health, education and socioeconomic rehabilitation to people from urban and rural areas. The academy believes in a participative, rights-based, barrier-free society, which enables the differently abled persons to live life to the fullest. People with disabilities are empowered so that they actively participate in community events and are able to contribute to the society. The academy provides education along with accommodation, vocational training and rehabilitation, livelihood support, and social empowerment to persons with disabilities. All services are provided free of cost to the beneficiaries. In a developing country like India where persons with disabilities constitute about 5.21% of the total population of the country, the challenges faced are acute and innumerable. 40% of the country’s population lives below poverty line, with only 2% of disabled children having access to education and approximately 80% of disabled population being unemployed. One out of every five persons below the poverty line is disabled. Wide spread ignorance, lack of awareness, nutrition, unhygienic conditions, pre-natal and post natal care, accidents, lack of proper health facilities and many more reasons cause disabilities, especially among the poor. The existing physical, social and attitudinal barriers increase the challenges faced by persons with disabilities. Considering all these factors, the Academy designs programs to address and redress the need of persons with disabilities within the community. People with disabilities lack access to basic rights such as health, education, employment, personal expression, civil and political rights and have little or no access to information. It is estimated that only 2% of disabled people in developing countries have access to inclusive primary education and employment. There is very little basic awareness about the causes and the prevention of disabilities. Also the rights, schemes and facilities available for persons with disabilities are rarely understood. There is a lack of awareness and understanding on disability issues, which are human rights issues, among the government, NGO’s and community networks. There is a lack of resources for the promotion of community-based initiatives responding to the needs of people with disabilities. The needs of 80% of people with disabilities can be met at the community level. The promotion of inclusive approaches reduces the vulnerability of differently abled persons. Education and economic empowerment results in ensuring that the rights of differently abled persons are upheld, thus minimizing the differences within the community.